This is the wildest thing I’ve ever seen. My client was describing to me the problem, but I had a hard time believing them until I could see it reproduced for myself. 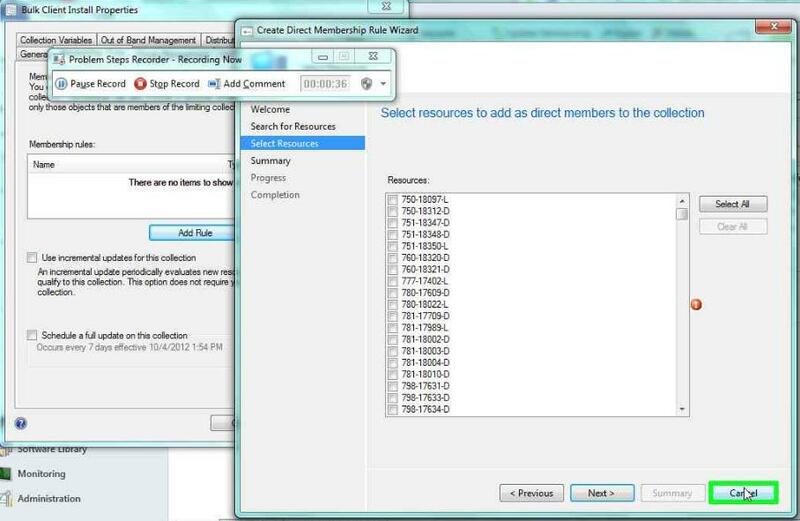 When attempting to add direct memberships to a collection, sometimes it only shows returns a subset of the limiting collection and not the full list. I have found out that this is indeed a known bug/case that is open with the ConfigMgr development team. When using the direct rule wizard and using a mouse with clicks, it only makes a handful of resources available from the limiting collection. Then when repeating the steps but using the only a keyboard and buttons, all 1000+ systems became available. 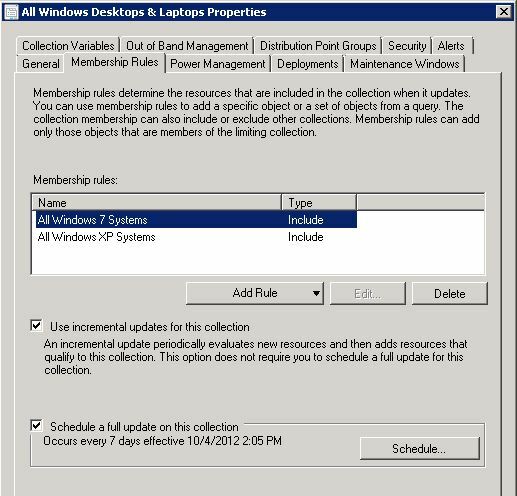 The limiting “parent” collection was a created in a unique way that is new to ConfigMgr 2012. Of that collection, it’s limited to All Systems, but the memberships rules is using the new “include collections”. What made this “funny” at my client is that literally every time I did a direct membership, it worked for me….and every time the client did it, it failed. We all couldn’t help but laugh because they thought I was somehow messing with them. 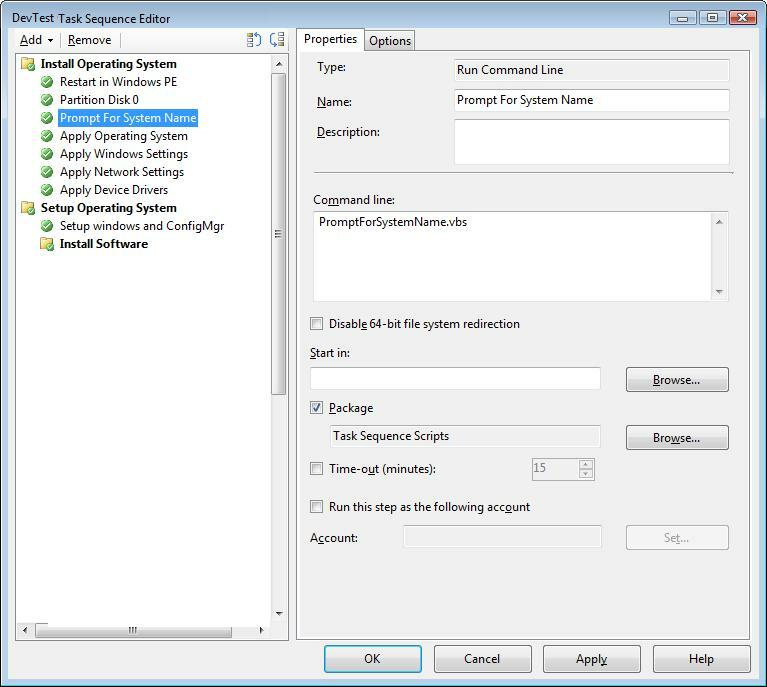 This entry was posted in ConfigMgr 12 and tagged console.